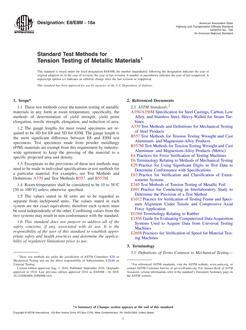 1.1 The primary objective of metallographic examinations is to reveal the constituents and structure of metals and their alloys by means of a light optical or scanning electron microscope. In special cases, the objective of the examination may require the development of less detail than in other cases but, under nearly all conditions, the proper selection and preparation of the specimen is of major importance. 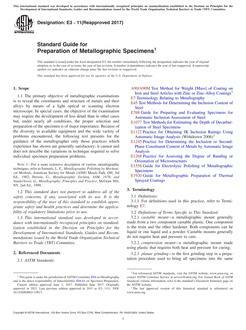 Because of the diversity in available equipment and the wide variety of problems encountered, the following text presents for the guidance of the metallographer only those practices which experience has shown are generally satisfactory; it cannot and does not describe the variations in technique required to solve individual specimen preparation problems. 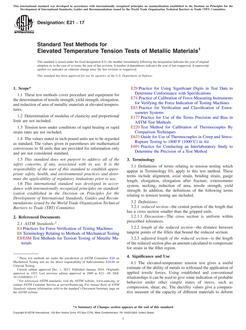 Note 1: For a more extensive description of various metallographic techniques, refer to Samuels, L. E., Metallographic Polishing by Mechanical Methods, American Society for Metals (ASM) Metals Park, OH, 3rd Ed., 1982; Petzow, G., Metallographic Etching, ASM, 1978; and VanderVoort, G., Metallography: Principles and Practice, McGraw Hill, NY, 2nd Ed., 1999.